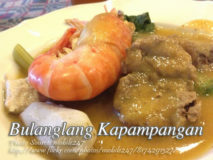 Bulanglang Kapampangan is very similar to sinigang instead of the original bulanglang recipe where it is very similar to pinakbet of Ilocos. Although it looks.. 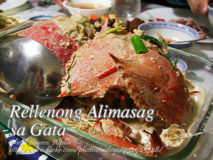 This stuffed blue crabs recipe consist of ground pork and coconut meat, spices and than stewed in coconut milk. 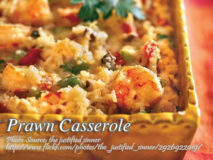 Among the kinds of stuffed crabs,..
Casserole dishes are not usually cooked in Filipino cuisine because these type of dished originates in the West and in Europe. 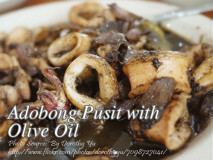 Casserole is a French..
Adobong pusit is a well known Filipino dish that consist of sliced squid stewed in soy sauce, vinegar, spices and tomatoes but this recipe I.. 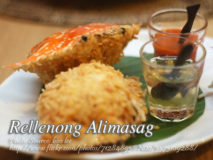 This stuffed blue crabs recipe consists of crab meat, eggs and spices then deep fried. This recipe is easy too, just mixing all the ingredients..